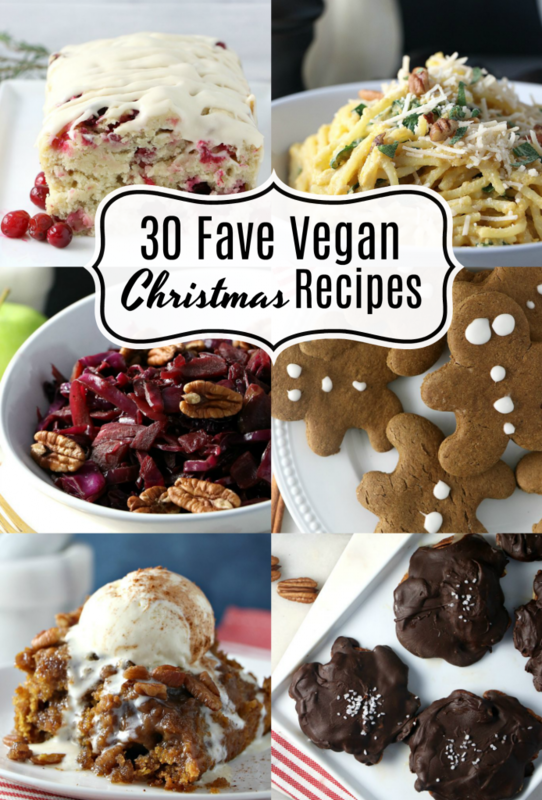 30 Vegan Christmas Recipes - Eat. Drink. Shrink. This post is somewhat on the late side, but I truly believe.. It’s never too late for amazing vegan eats! Below are some of my favorite holiday recipes from 2017! From savory to sweets, snacks and more…These are a few of my favorite things! Thank you for continuing to support EDS!! Wishing you a wonderful holiday and a Happy New Year!! Not seeing anything that’s your cup of tea?! 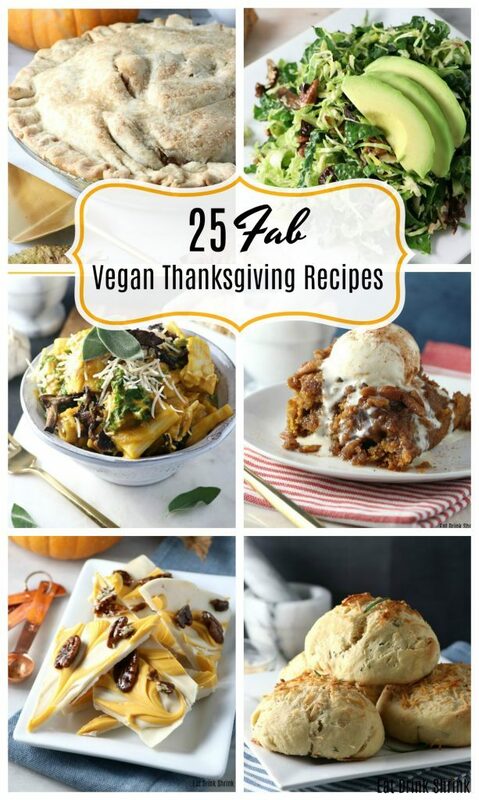 Check out my Thanksgiving recipe round up here! This recipe sounds off-putting and venturing off into things you should’t do with pumpkin, but I’m telling you, it’s SO GOOD! 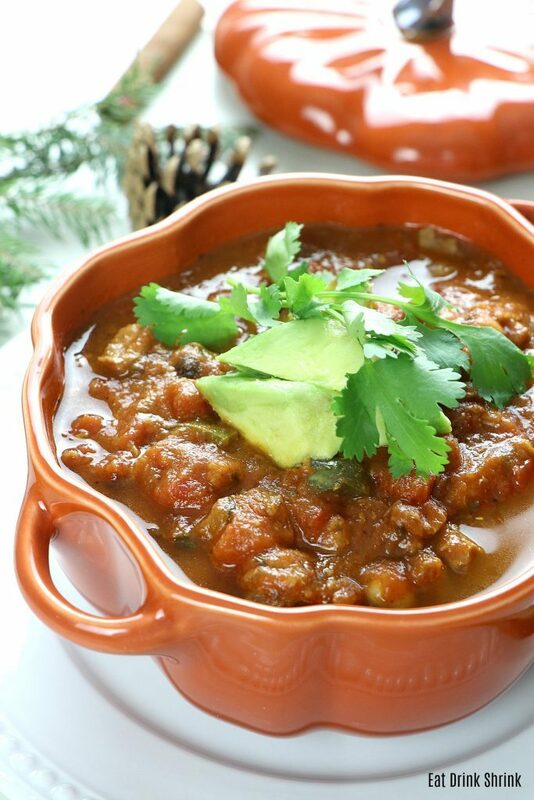 Mix up the faux meats or skip it altogether to create a classic chili that you’ll be craving in the new year! 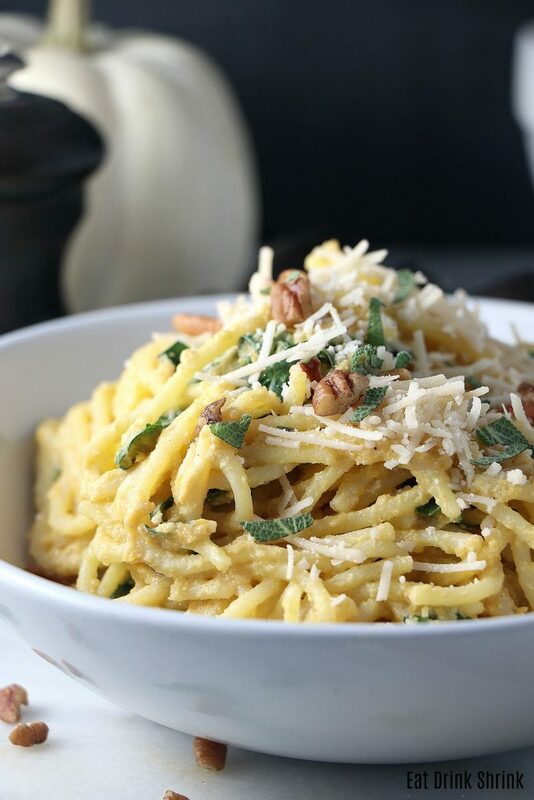 There are a myriad of things you can do with butternut squash. One of my personal faves, is mac and cheese! This baked version with Panko, kale and shiitake bacon provides multiple textures and flavors that just blend seamlessly together! This was one of the first recipes I did while at NYU in our pasta workshop. Everyone was doing traditional pasta and I decided to break the mold and opt for a dairy free version. It came out so good and was one of the influences to exposing the culinary world versus counseling patients. It’s easy, cheesy, has a hint of pumpkin, and that classic brown butter sage sauce that works for everyone! 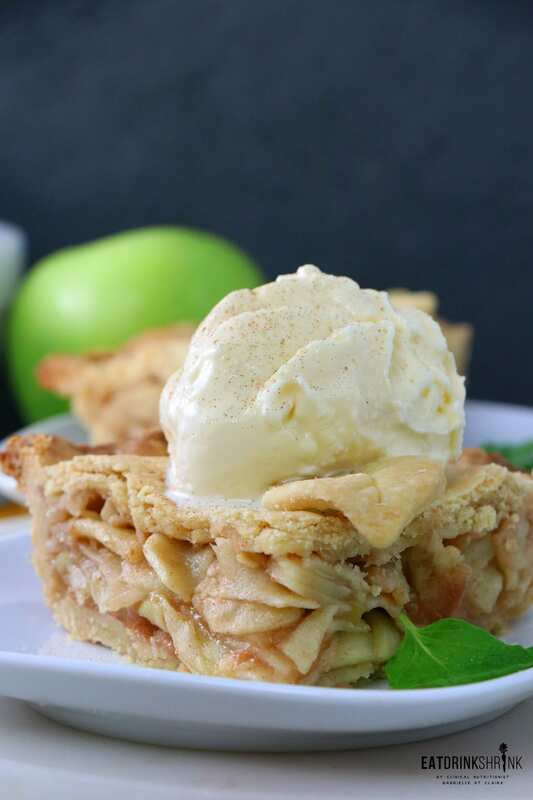 This recipe is still one of my all time favorites no matter what the seasons! 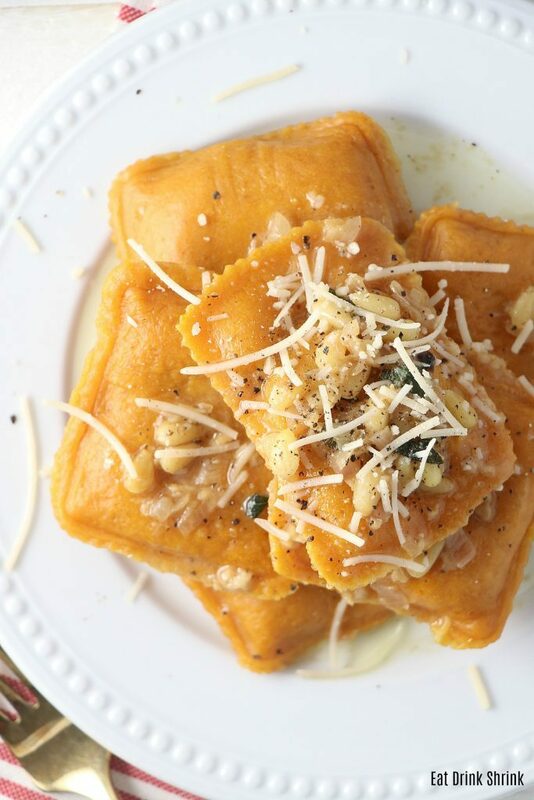 It has a similar flavor profile to the homemade raviolis, but more of a pumpkin flavor profile and much easier to produce! 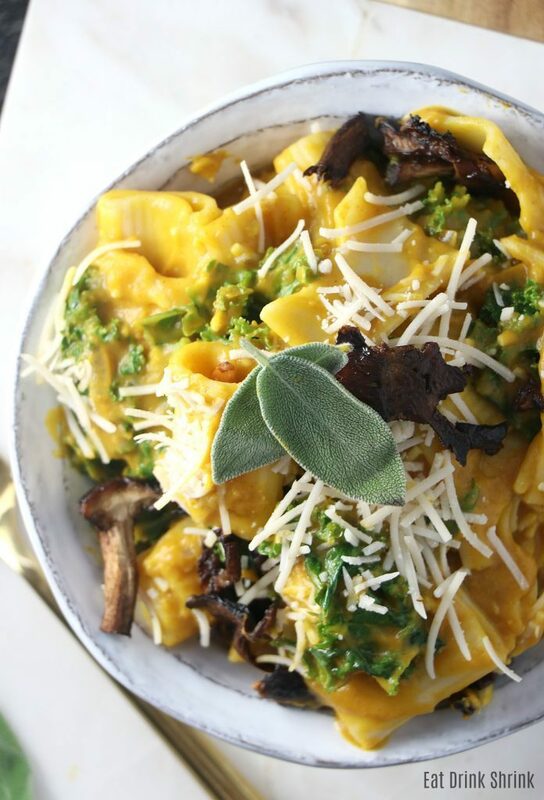 If you love effortless savory holiday dishes, you have to try this one! 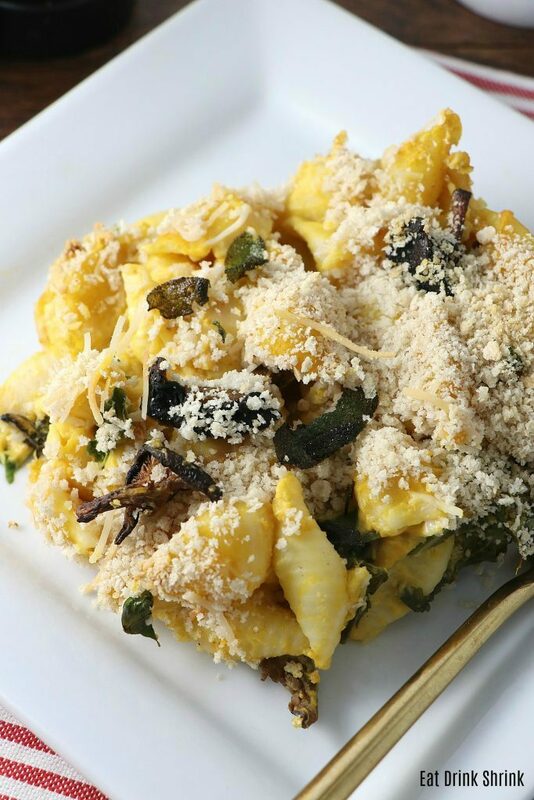 Another holiday pasta dish with a classic butternut squash cashew sauce that’s one of my favorites! 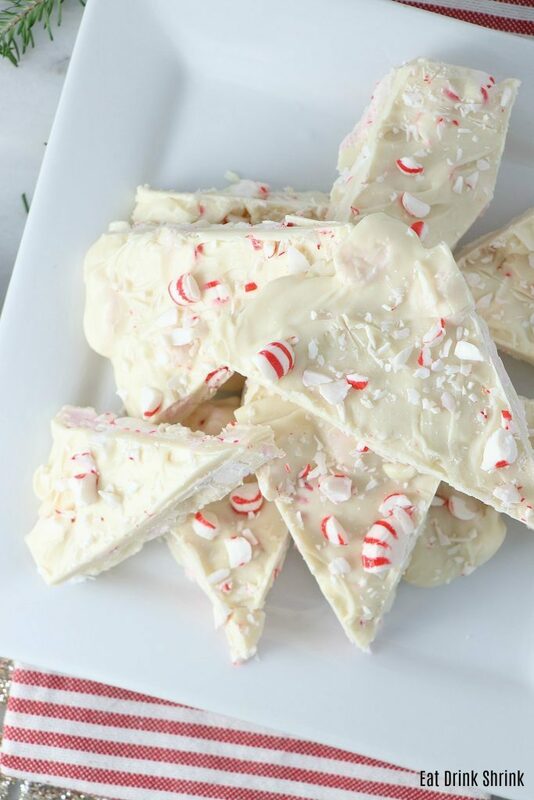 Easy, cheesy, and perf for the holiday! I made my brussels with classic balsamic for years, but wanted to mix things up a bit. 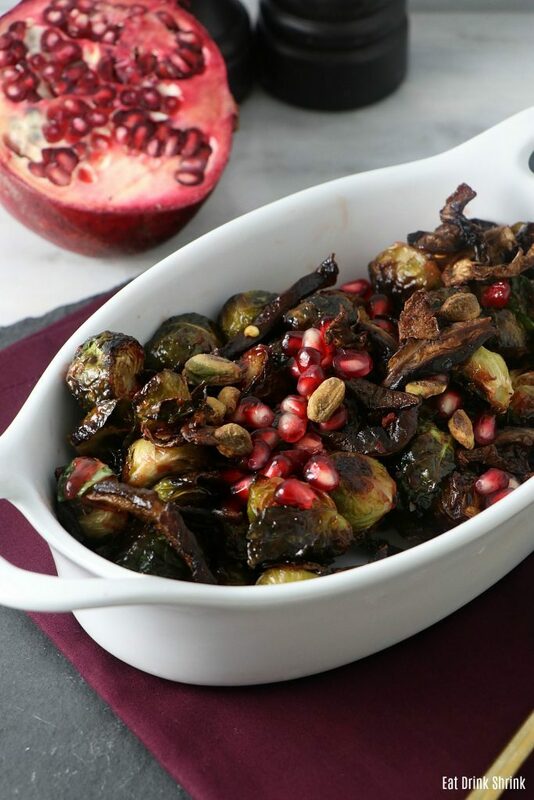 This dish with a pomegranate reduction, seeds, and shiitake bacon did just that! 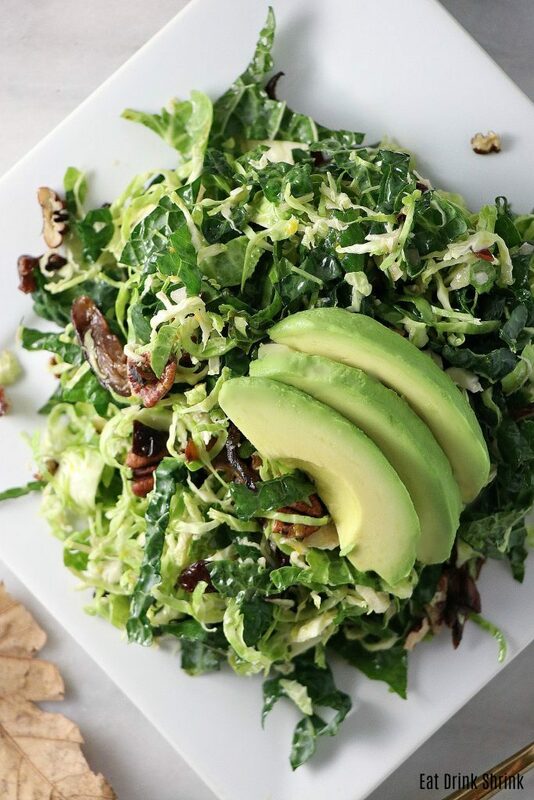 If you’re looking for a modernized brussels dish, this recipe is for you! It’s crispy, “truffley”, and makes everyday steamed asparagus sound boring! 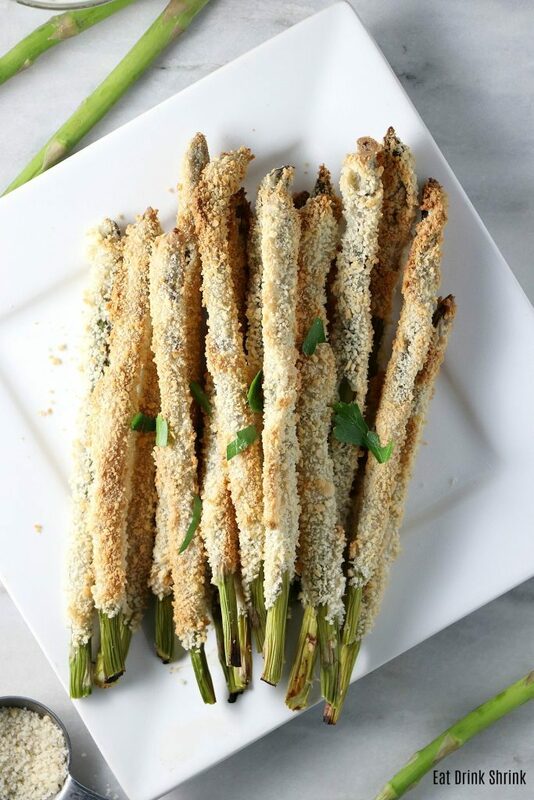 Mix it up this season with my easy peasy Crispy Asparagus with Truffle Aioli! By far this is one of my favorite dishes as the flavors are so interesting! It’s tangy, sweet, crunchy, filling, nutrient dense, involves a handful of ingredients, and I could just literally eat it by the buckets! Highly recommend! This salad is one that I’ve been making for years that even my husband begs me to make on the regular. 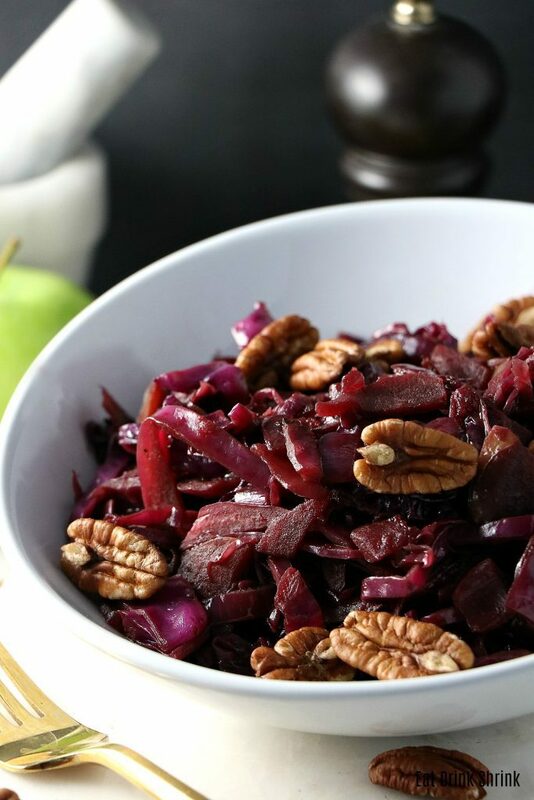 It’s timeless, perf for any season, filling, colorful, and hands down my favorites salad! Your favorite soup turned vegan! 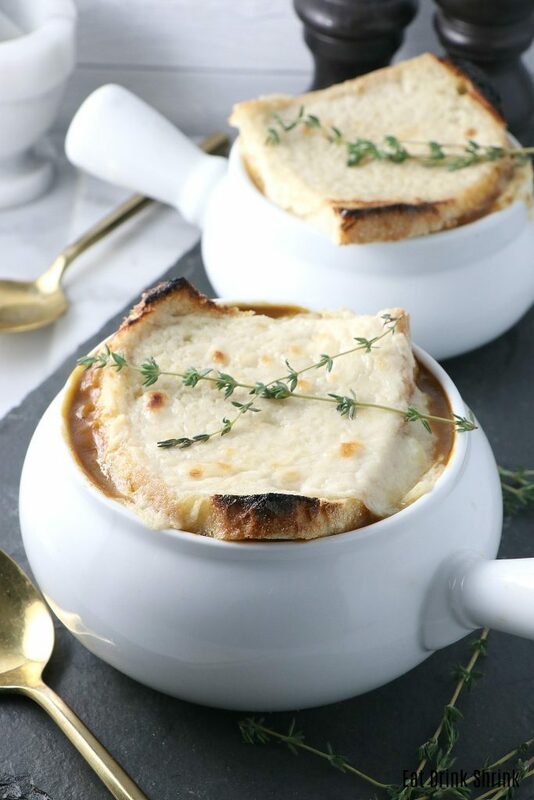 I could eat this soup winter or summer, rain or shine! So easy and good, I highly recommend this one! Easy, cheesy and full of zucchini! 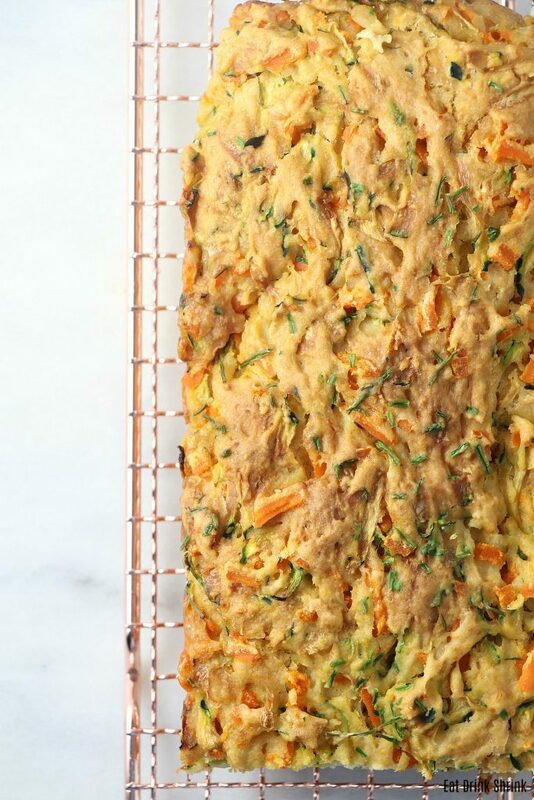 If you love game changing bread, you need to try this recipe! 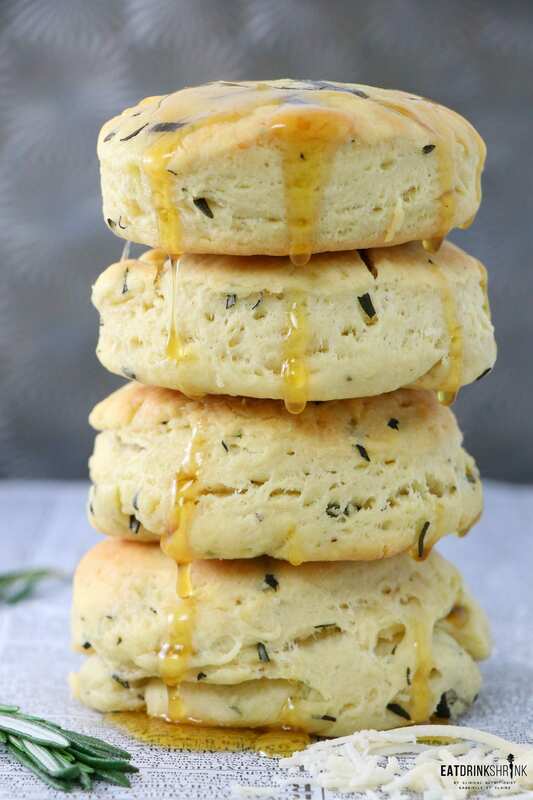 If I were a bread, I’d be these Rosemary Truffle Honey Biscuits! Notes of rosemary and parmesan and drizzles with truffle honey, you can’t go wrong! My thoughts, if you’re going to do a pancake, have fun with it! 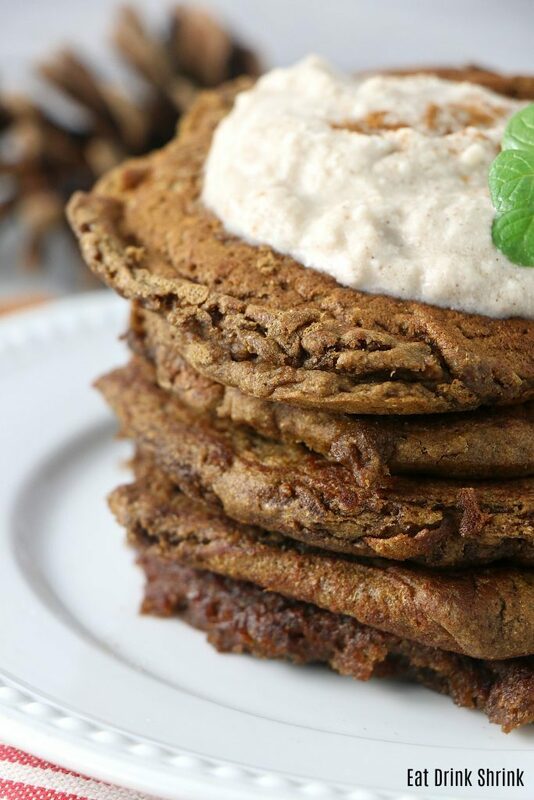 These vegan whole wheat gingerbread pancakes are fluffy, filling, packed with flavor, and complement any holiday brunch! 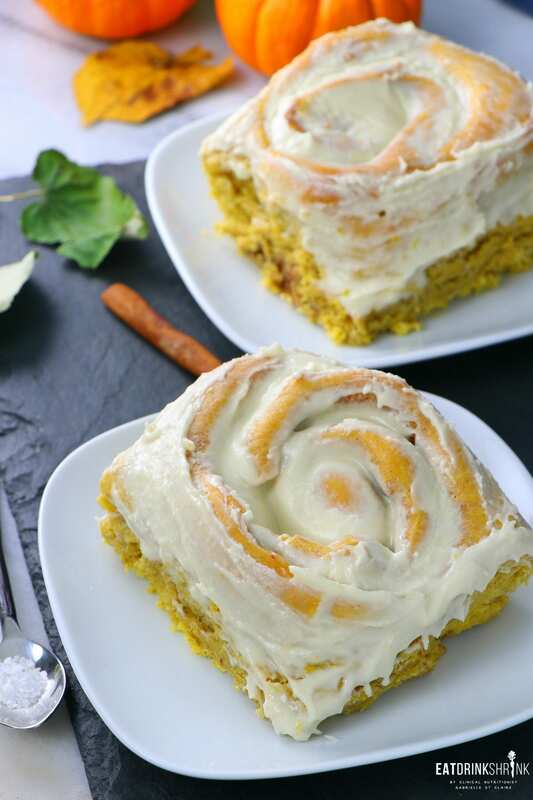 I’m all about classic cinnamon rolls, but these vegan Pumpkin Cinnamon Rolls with cream cheese icing are one of my favorites! No need to explain this dish! 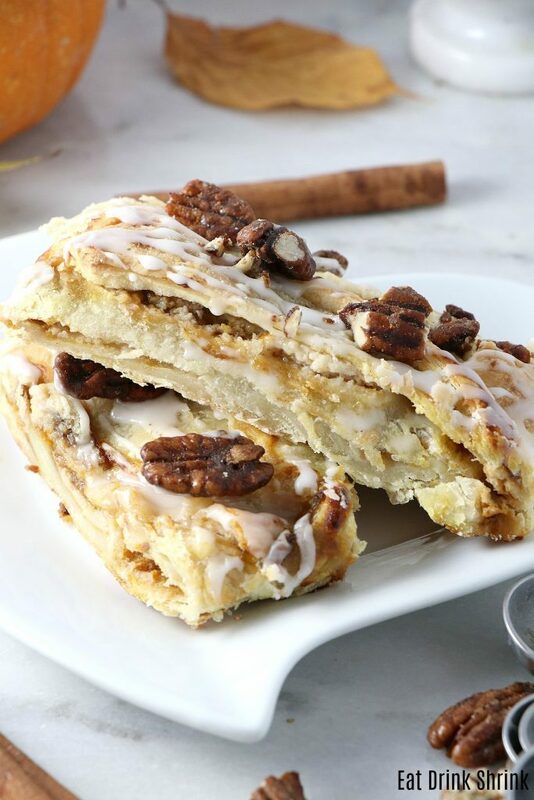 It’s so effortless, packs so much flavor, and is a crowd pleaser! Highly recommend! I’ll be honest, when I found out that a company makes dairy free pastry dough I was elated and went through a danish craze lol. This one is absolutely my favorite! 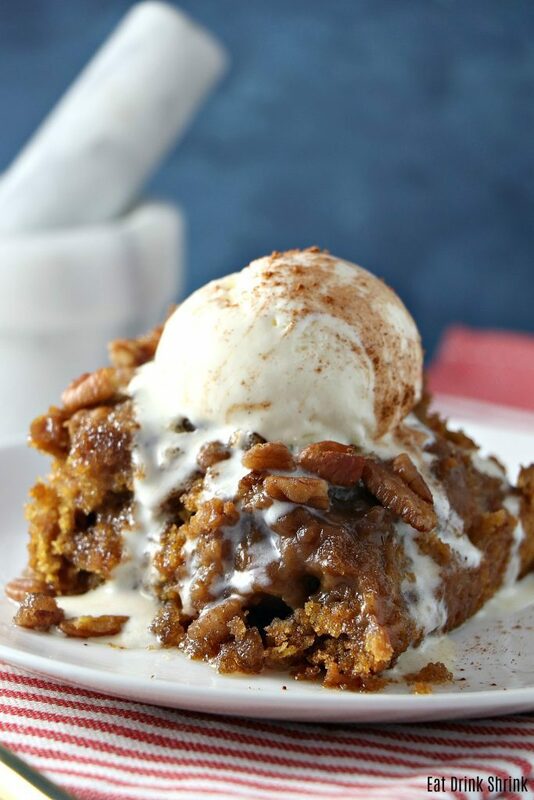 If you want to indulge and are crazy about all things pumpkin, this one will rock your world! This is one of my newer recipes that completely blew me away. I’m making more of an effort to use almond flour as you really can replicate many flour based recipes with it. 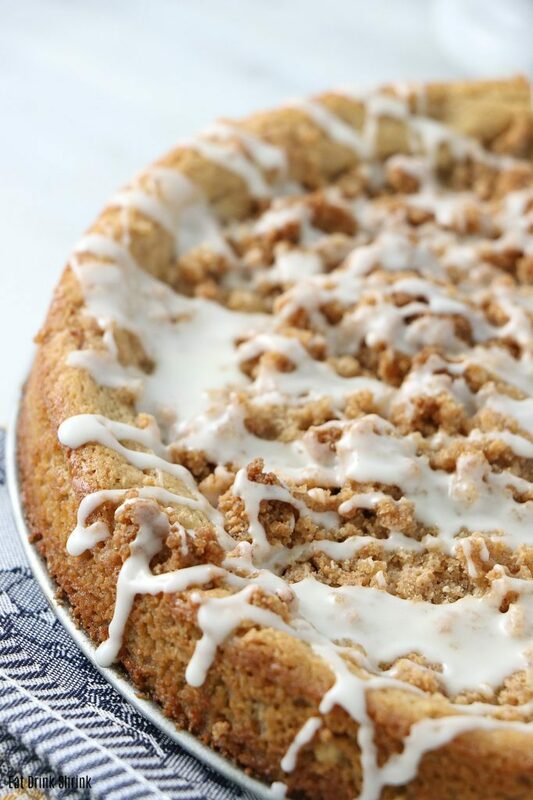 That being said, I was very impressed by how it created a coffee cake like texture and the eggnog just put this recipe over the top! Highly recommend! I once hated gingerbread as I had a cookie that was hard as rocks lol. 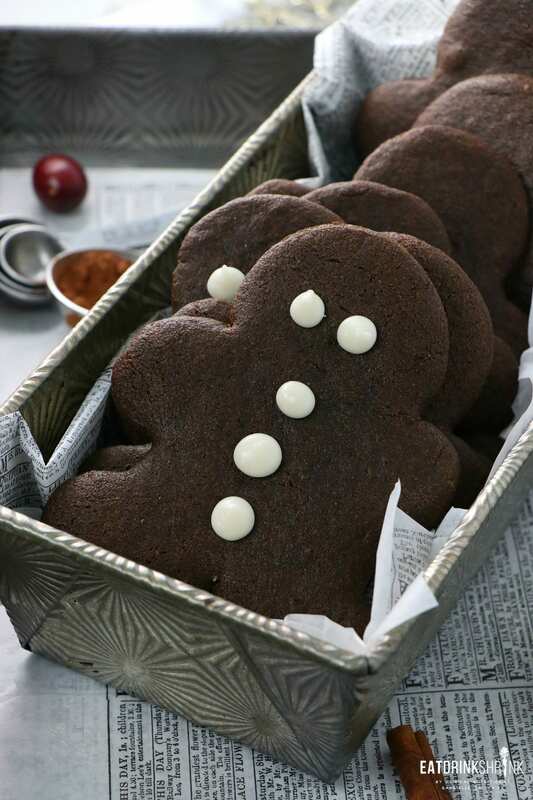 However, I gave these vegan whole wheat Gingerbread Men a try and was enamored with the buttery soft texture! 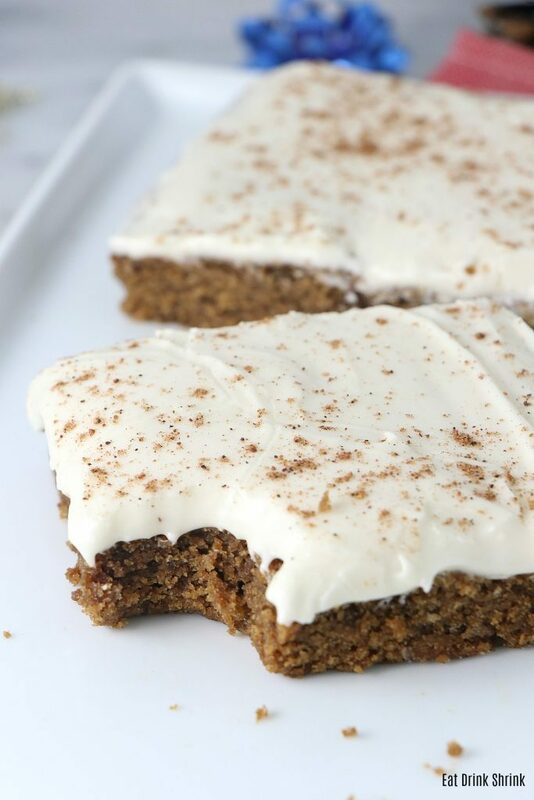 If you’re looking for that staple gingerbread cookie, this is it! 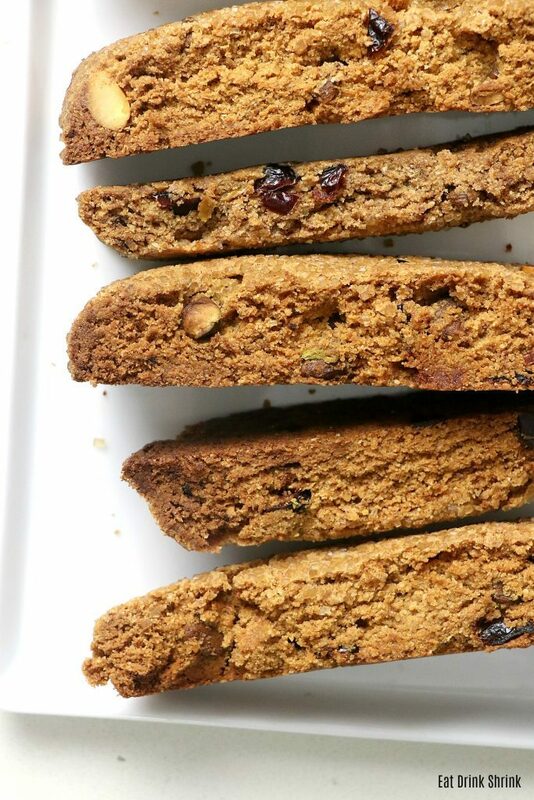 When I was soy latte obsessed ages ago, I never was into biscotti. However, It’s one of those concepts that was always on my bucket list and I decided to give it a go. Let’s just say, as I type this I’m eating the remaining biscotti because it’s just that good! The majority of recipes I give away, and for these I kept most of them lol. Highly recommend! I always feel like pears are overlooked. They are like a mild apple and I actually love the mellow flavor. 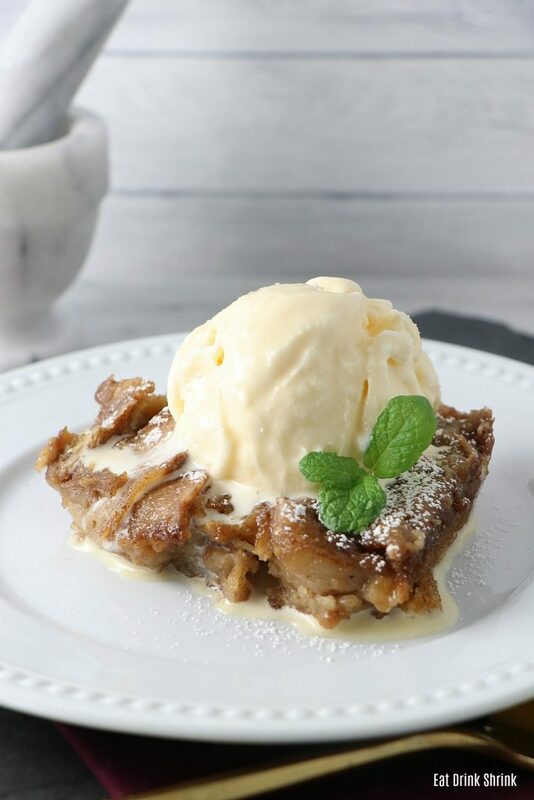 Like all cobblers, this is effortless, has less sugar than most, and is perf for any season or holiday! In all my years I never saw pumpkin cobbler. I wondered, how the heck would that work? However it works, it just does! 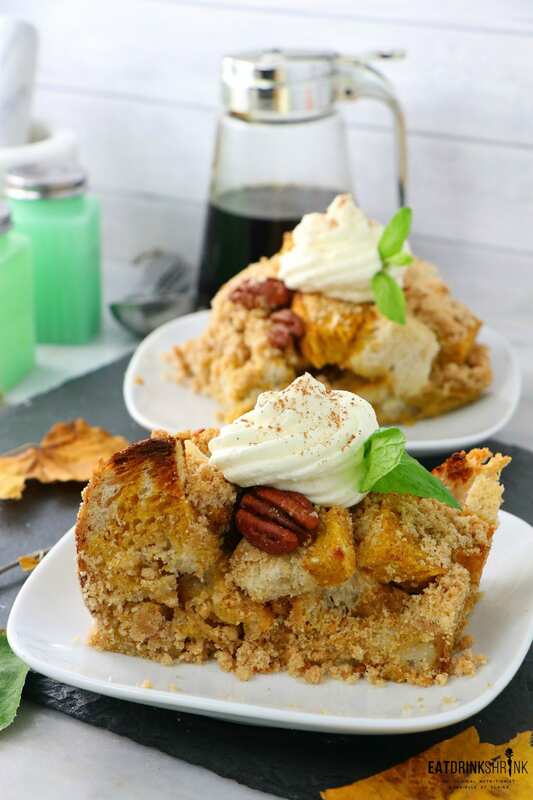 Take your love for pumpkin next level with this vegan Pumpkin Cobbler! 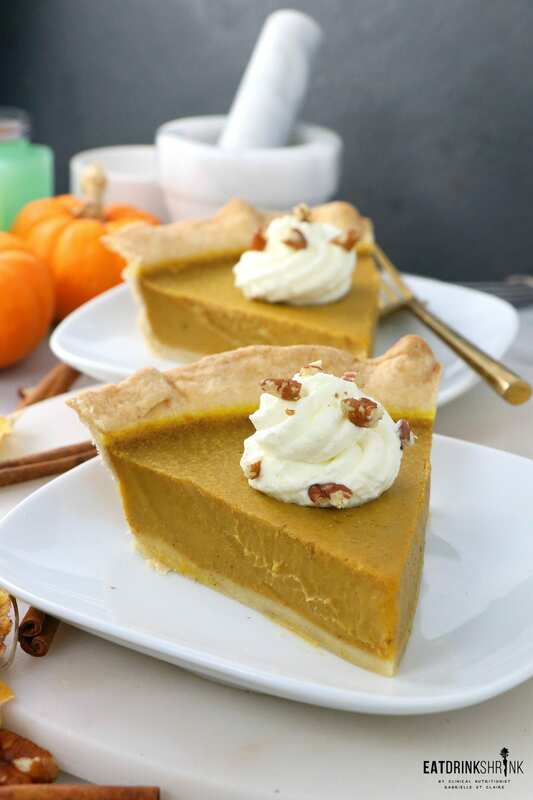 In my early vegan years I cried at the thought of never have a slice of pumpkin pie again. However, this is by far one of the easiest recipes to replicate vegan style as you don’t need the dairy and eggs! I’m craving it just thinking about it lol. No need to explain, it’s chocolate, it’s caramel, it’s easy! 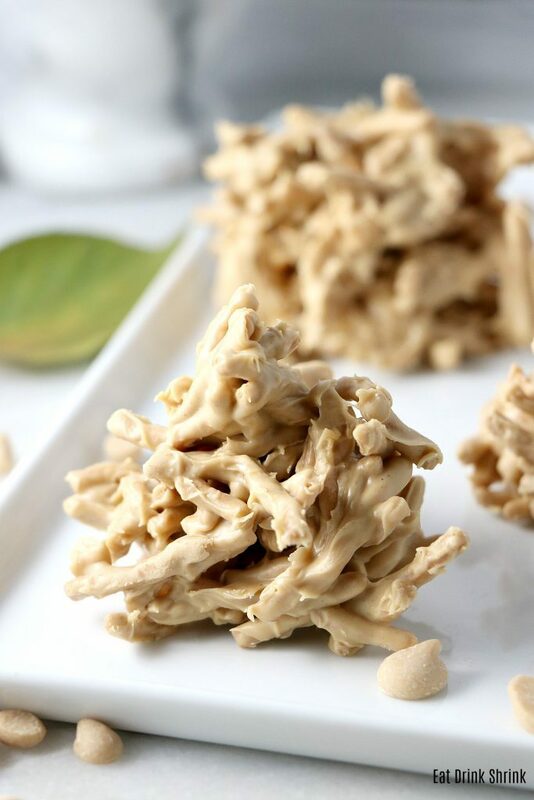 I had not had a hay stack in over 10 years prior to trying out this vegan version. For those who are not familiar with this nostalgic treat, it’s just one of those weird concoctions that’s just mind blowing. Highly recommend! 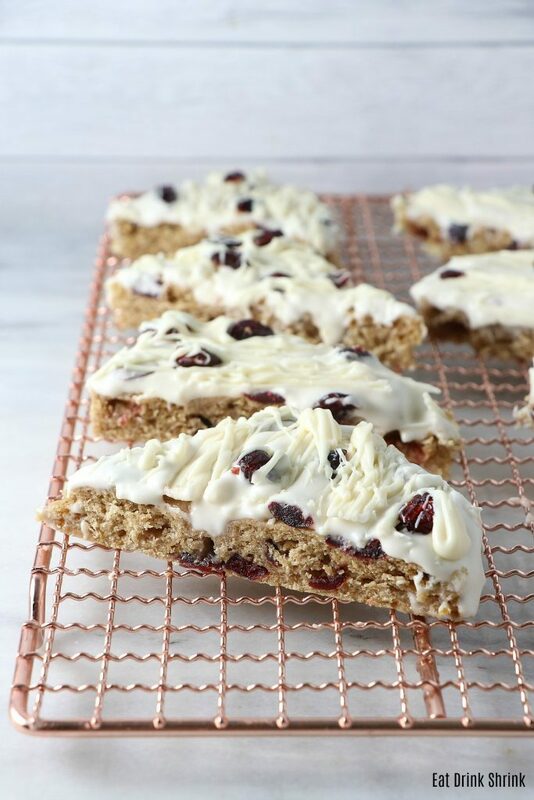 This recipe is at the top of my list for one of my most favorite desserts! 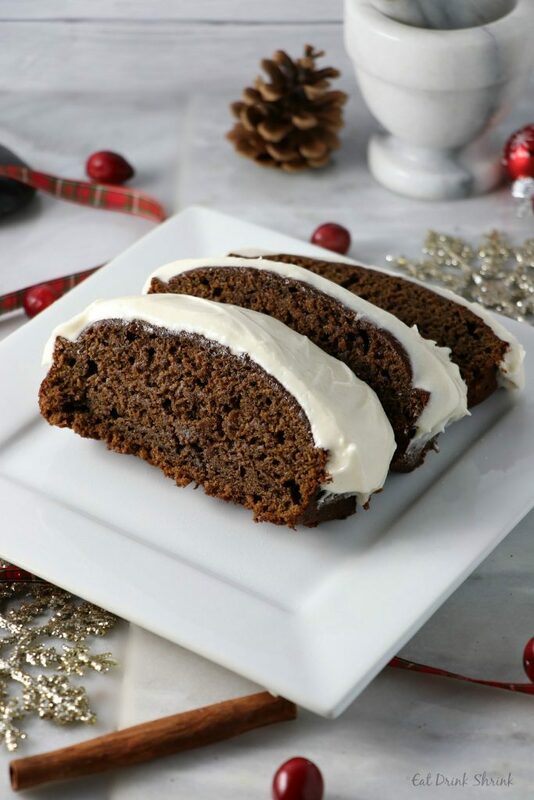 It has a rich gingerbread flavor and cream cheese icing. It’s a full Christmas concept, but I’d totally make it in the middle of July! The easiest vegan pie crust and a staple for every season! I wasn’t crazy about the images I captured as it doesn’t do this pie justice! However, I’ll be whipping up another one as a result and because it’s JUST THAT EASY! This recipe I made two years ago and it really is just as good as the traditional version! My only complaint is that the pictures don’t do it justice! I had just moved and was still figuring out my listing in the new studio and wasn’t crazy about these shots. However, I’ll be making this one again because they are so good and just like all my recipes, it’s just THAT EASY! I love all things lemon so this concept was a no brainer. 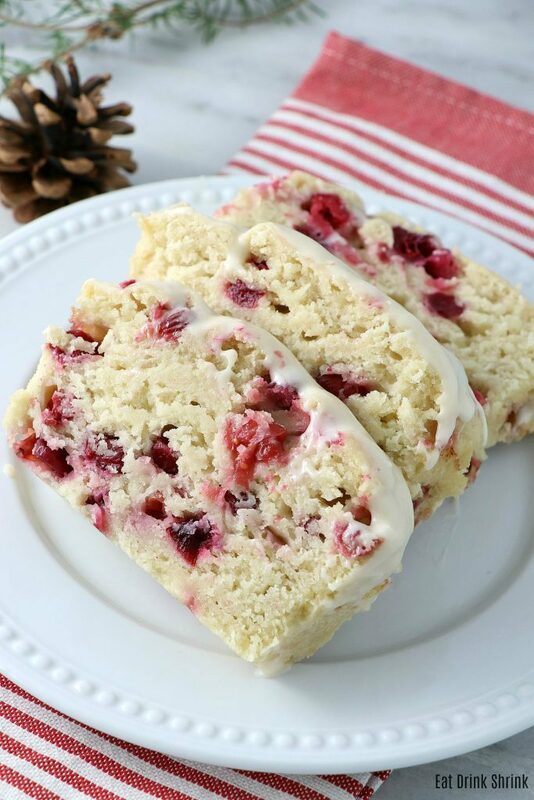 I’m not even a cranberry person and this recipe still swept me off my feet. Highly recommend! 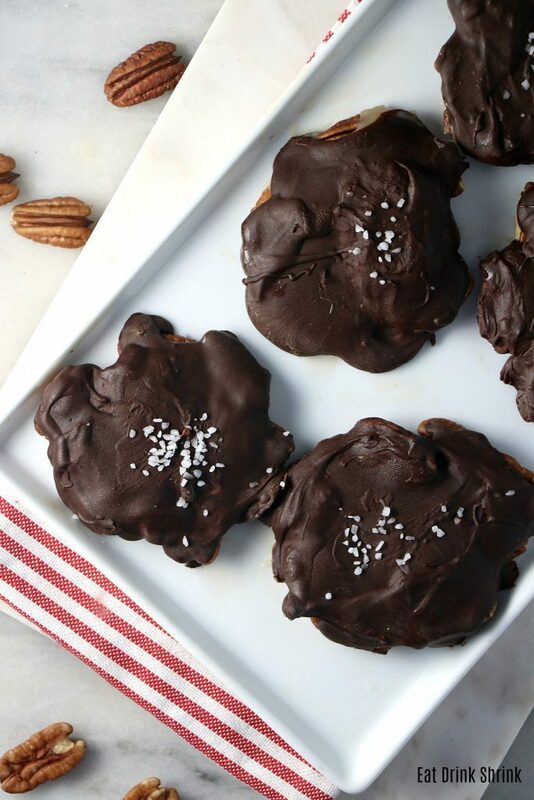 Last but not least, these were the final holiday recipe for this year! I was on a gingerbread high and this was the last concept that came to mind and it ended up being my favorite amongst the most indulgent options! It’s whole wheat based, filling, rich with gingerbread flavor and the cream cheese eggnog icing just puts it over the top.